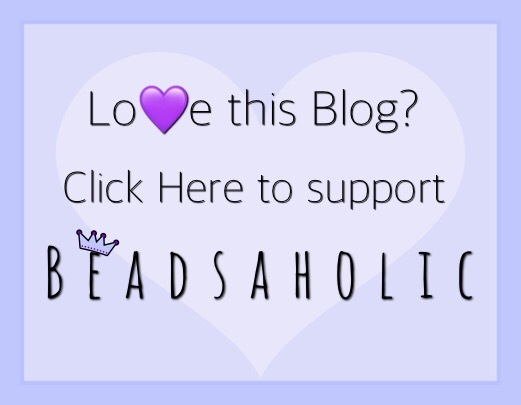 Today Beadsaholic brings an exciting sneak peek of Trollbeads Winter Collection, Nostalgia! It looks as though Trollbeads is on a roll with their Autumn collection just rolling out a few weeks back that has been proven to be a huge hit! I have a feeling that this winter collection will be just as popular. I, myself have re-fallen in love with Trollbeads, if that’s possible! Starting off the Winters Collection Sneak Peek is a brand new limited edition glass kit. Take a close look there is an adorable reindeer and owl included. I just had to squeal a little! This will be very appealing especially to Trollbeads Critter fans. Winter Forest Kit (TGLBE-00146) retails $276 /€ will update with Euro prices. Do you remember the feeling of anticipation when you were a child longing for Christmas morning, the scent of your grandmother’s cookies, the look of the tree decorated abundantly with ornaments and lights; or later, the face of your loved ones when they open that perfect gift you chose specifically for them and their personality. There is no sweeter time of year to be nostalgic than at Christmas time. This year we treat you with the collection, Nostalgia. We bring you an elegant collection in classic silver, a colorful & limited-edition glass kit, two rings and last, but certainly not least, two new carriers in gold. But this is certainly not all! This year we also bring you special Christmas Unique Kits. This year not only will we get a fresh new limited kit that is simply fabulous, Trollbeads will also be introducing a new Christmas theme “Unique Christmas” to make Christmas even more special! Trollbeads is celebrating by adding new kits of uniques – pictured below. I see lots of very promising uniques! I hope to acquire a few of these myself. There are six new silvers being added to the collection. Some are rather abstract and will go with just about any combination. I really love Guiding Star, which will go great with the Wishful Sky bracelet and I love Abundance, which reminds me of a Christmas rose. Trollbeads is adding three new fantastic spacers. With the release of this collection just in time for Thanksgiving I’m anxious to play with these. I am of course, most excited about the release of this seasons starter bracelet. This set looks amazing and I adore night sky themes. I can’t wait to see this faceted glass in person, I’m hoping it will be just as memorizing. I have not had the pleasure of playing with a Changeable Fantasy Necklace, but find the concept interesting and I really like the idea of a wishing star as the pendant. I think this is a must have to go along with the Wishful Sky Bracelet. With this collection there is an introduction of two new rings. I think both rings would look great stacked together. The Snow Bubble Ring sounds interesting and I look forward to seeing this in person or in live photos. Of course, I love the Delicate Pearl Ring, you cannot go wrong with Pearls as they are timeless. This is the season for Gold and with the recent release of the Gold Celestial and Lovesome Spacer, the addition of a new Twisted Gold Plated Bangle and Gold Plated Neck bangle is the perfect timing. Here are a few campaign photos showing a few of these beads at play. Over all, I think this is such a fabulous release and think many of you will think so as well. I look forward to hearing all the buzz across social media once everyone has had a chance to see this wonderful collection. Now here are some important dates to remember for this release: Presale will start October 27th and this collection will release in stores on November 3rd, 2017. 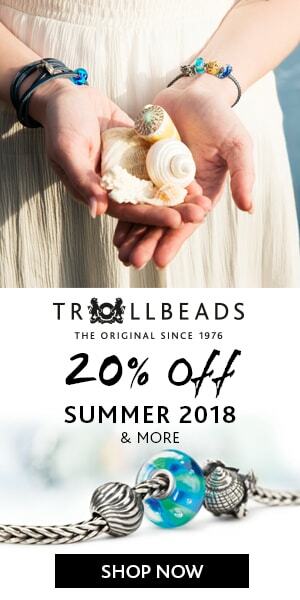 Of course, this release will be available at Trollbeads USA at the affiliate banner link below, but will also be available at the following retailers below banner. As always, I love hearing from you all and I am so excited to hear what your thoughts are on this release? Do you have any favorites? I’m drooling over the starter bracelet myself!